That’s right, Snarklings, it’s time for another collection of window shopping! Makeup! Candles! Post-apocalyptic accessories! Because as the Lady of the Manners has written before, she is trying to find things that appeal to a wide range of gothy tastes and aren’t just “Her aesthetic, let her show you”. 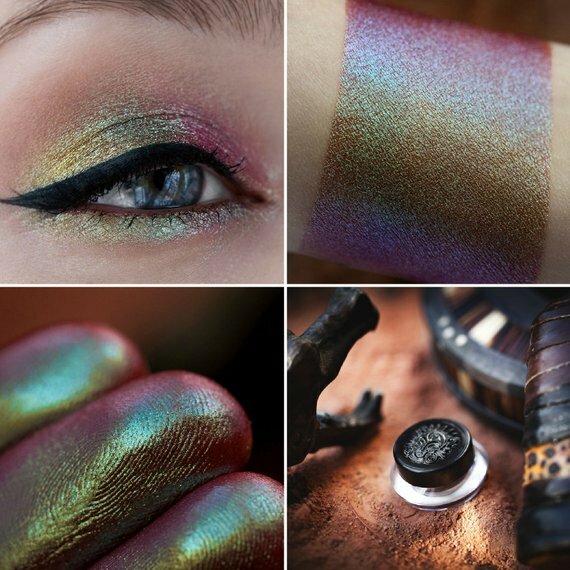 However, speaking of the Lady of the Manners’ aesthetic, how about some gorgeously shimmery, deeply-pigmented cosmetic pigments? 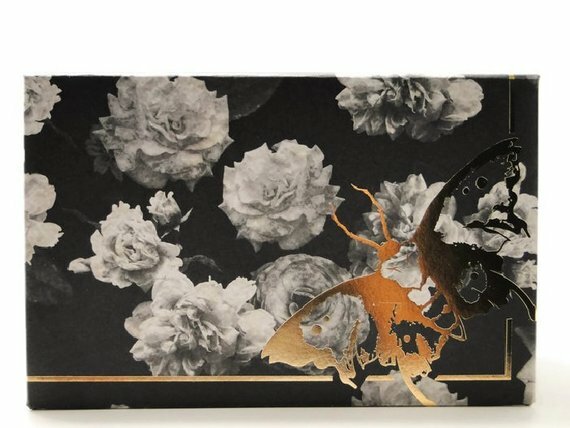 For those of you who wear makeup and need/want magnetic palettes, Book of Shadows makes ones covered in fancy paper! And while the Lady of the Manners knows exactly where those goth paper designs are from (she bought the same papers during THREAT LEVEL: PUMPKIN 2018), these palettes are beautifully constructed and not merely pre-made ones with fancy paper glued on. 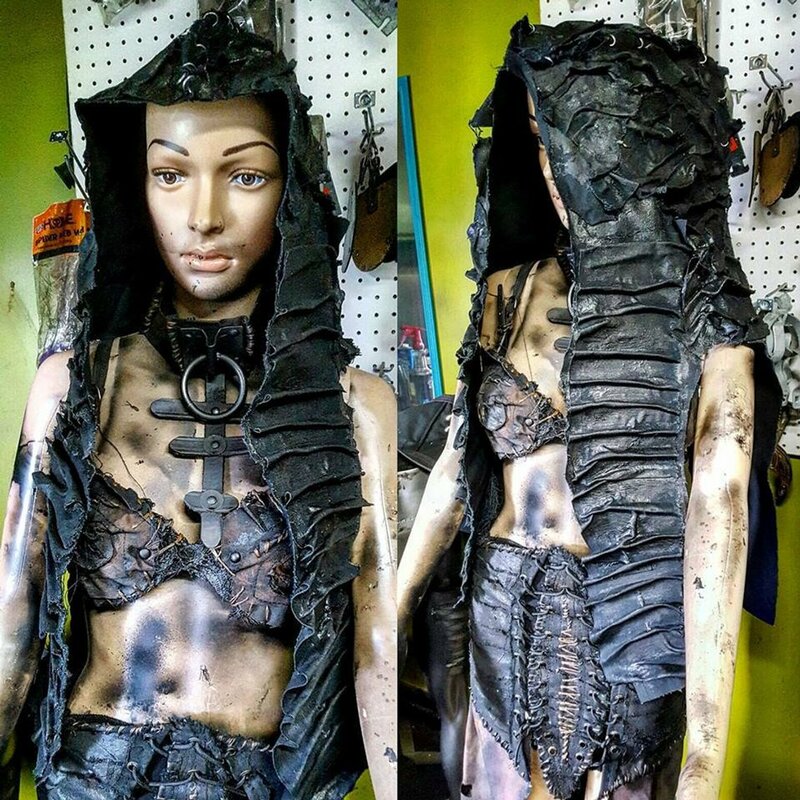 For one of the “Not my aesthetic, but impressive!” selections, SceneSick Custom Apparel offers wildly elaborate garments for all of your dark sorcerer and/or wasteland marauder needs. For the more cybergoth or industrial -inclined among you, Michelle Uberreste does interesting things with stretchy fabrics, vegan leather, rubber, and mesh. 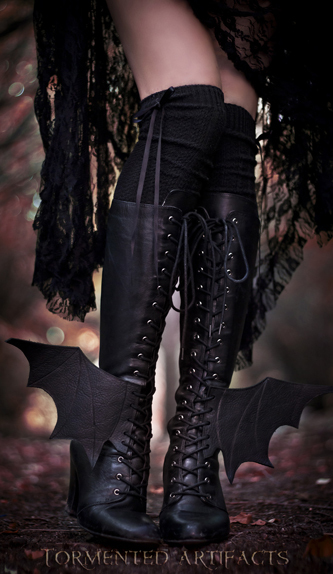 How about some leather bat wings to add to your boots or corset? There are imitations all over the place, but the original — and best! — Bootwings come from Tormented Artifacts. Do you like lapel pins? Do you like fearsome crones from folklore? 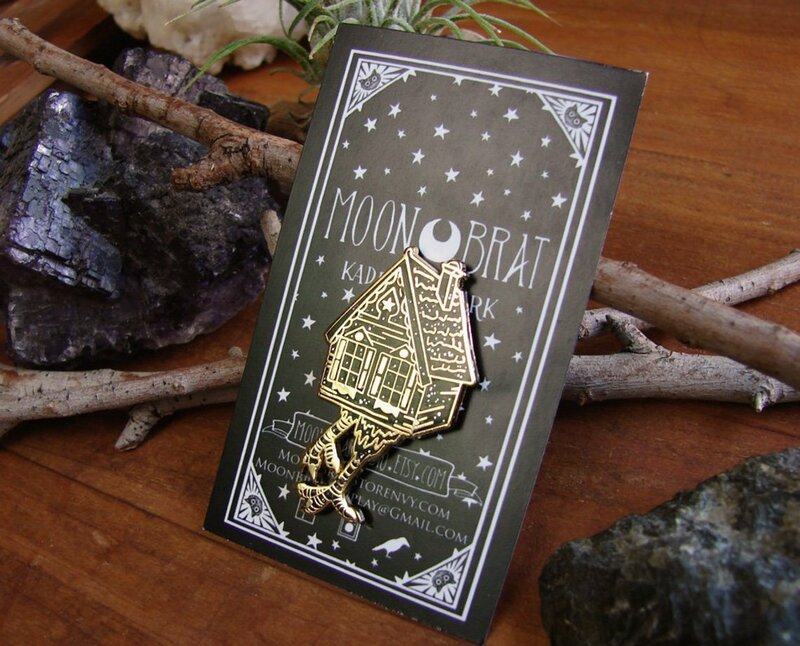 Then you probably want the Baba Yaga pin from MoonBratStudio. 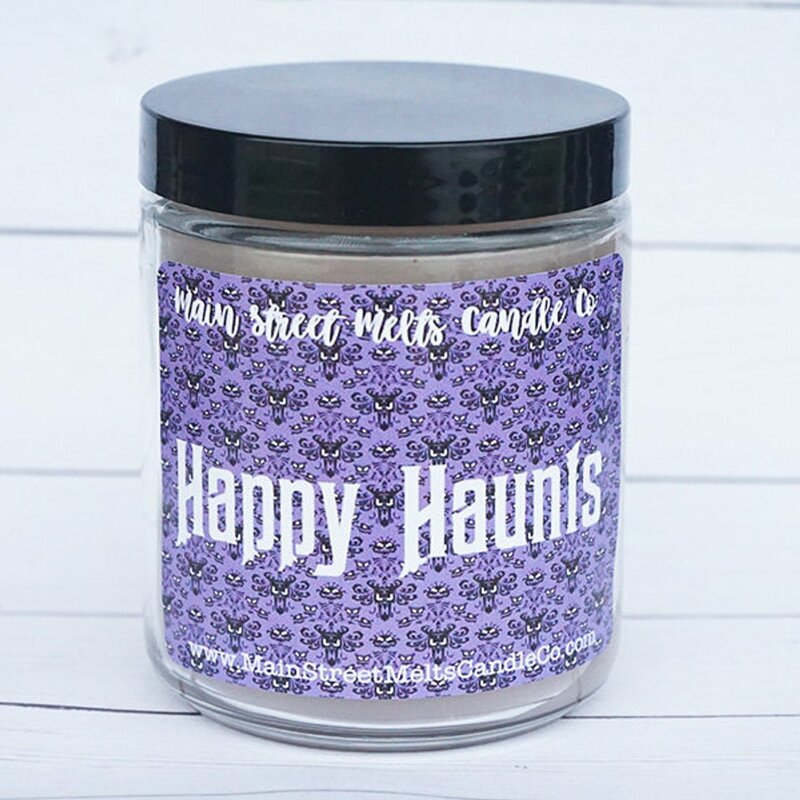 The Lady of the Manners has been assured by people she trusts that the Happy Haunts candle from Main Street Melts really does smell like her spiritual home, the Haunted Mansion. The Lady of the Manners tries not to feature something by Kambriel in every installment of Stereotype Technology, really she does. 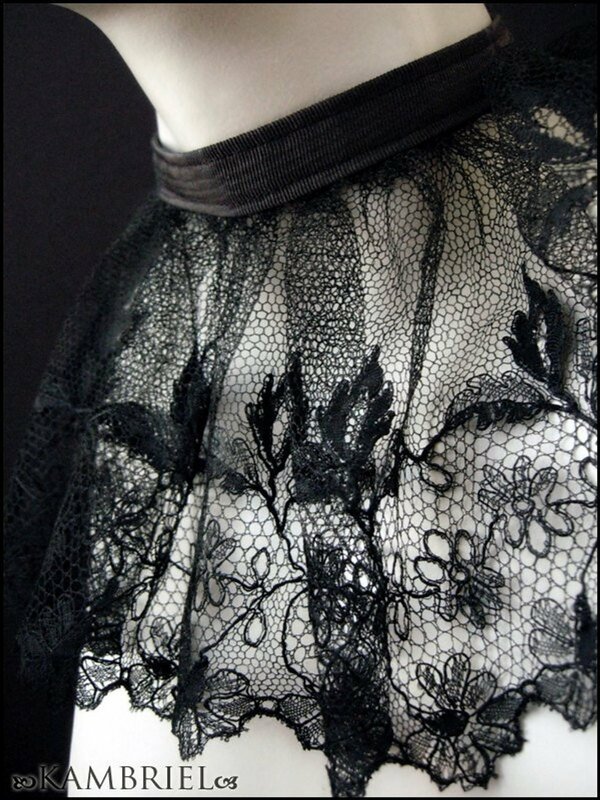 But look at this neck ruff/choker made with antique lace! 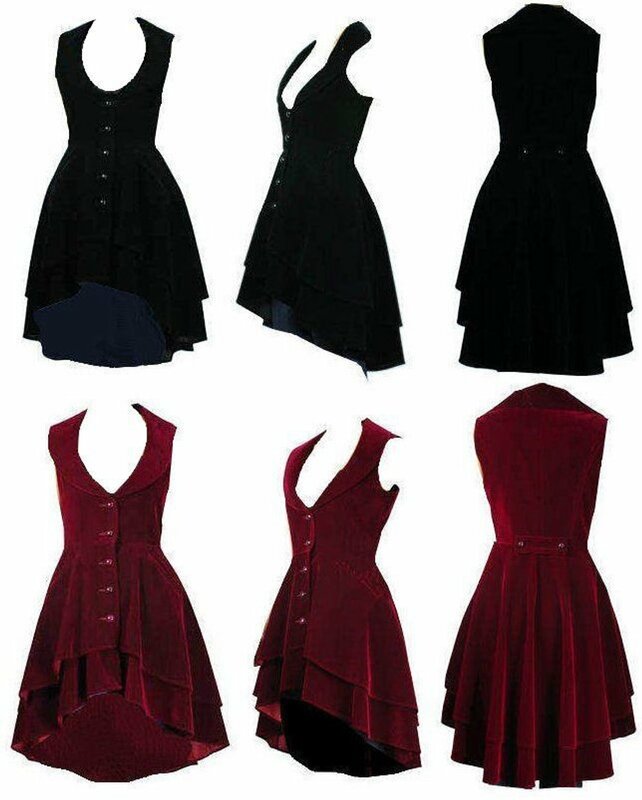 Finally, a garment that the Lady of the Manners owns multiples of, in black and in burgundy. She has no idea if Dangerous FX has commissioned these from someplace once Chic Star discontinued the design or if they found a hidden cache in a warehouse, and it doesn’t matter. The perfect riding coat -style skirted waistcoat! In addition to being versatile and amazing, IT HAS POCKETS. Are there particular things you’d like the Lady of the Manners to seek out during her nocturnal window shopping jaunts? 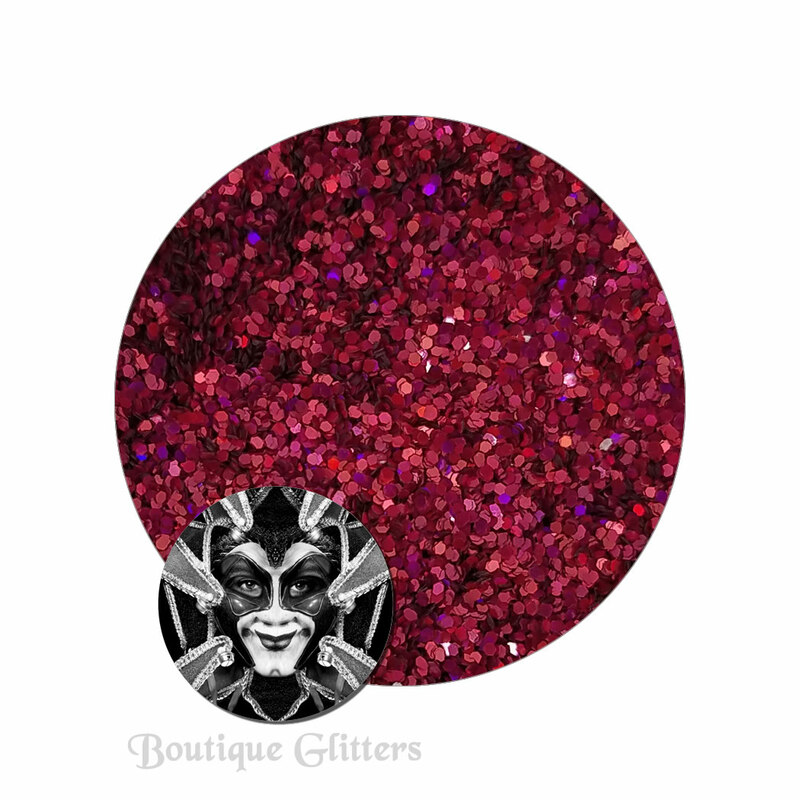 A goth style you’d like to see a collection of links for? Leave a comment! I love these! Also, I recall watching a cartoon movie with the Baba Yaga house in it but can’t for the life of me remember what it was. Does anyone happen to know? Oh! I might have to order one of those vests. They are beautiful. I would really love to see you do Victorian Goth! Amethyst are you thinking of Bartok the Magnificent? Thank you so much for including my Baba Yaga pin! I dearly desire those boot wings, and I actually used the raven style in character design for a superhero because I want both sets so much!